Dave is well known as the fiddle player in Blowzabella and has a vast repertoire of dances and fiddle music from England and western Europe. 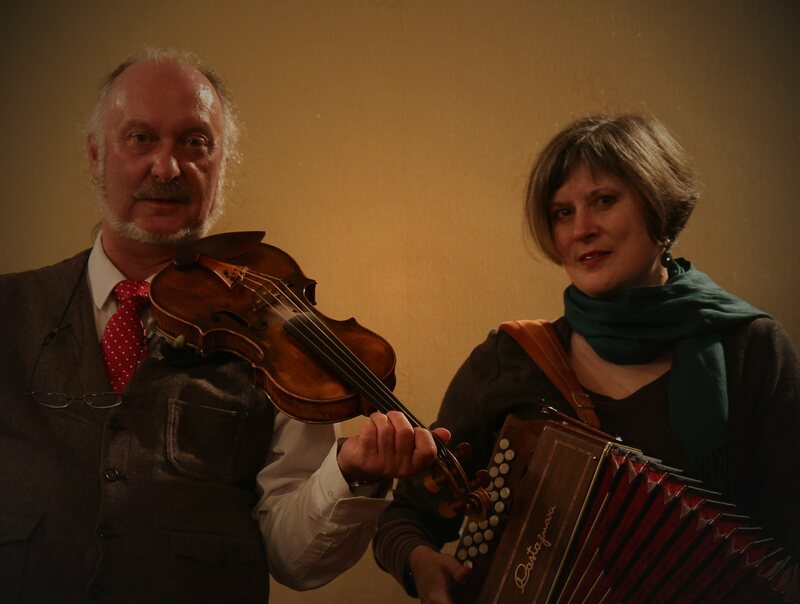 Anna is a dancer and musician with a longstanding interest in French traditional dance, and has performed with Karen Tweed and others in The Chase and Circa Compania, both as a dancer and player of the diatonic accordion. Read our biographies page for more information about us. Dave and Anna’s music and dance repertoire is drawn from various European dance traditions. They place great emphasis on passing on the traditional forms of dance and music but are also sensitive to innovation within the genre to adapt to changing social circumstances of the 21st Century. To this end, Dave and Anna not only play for dances and bals, but have also created the TradDance Project, presenting dance and music workshops to promote a wider interest in the dances and music along with the related cultural and historical background. Further details are to be found in the Music, Dance and Events pages.